Yahoo! 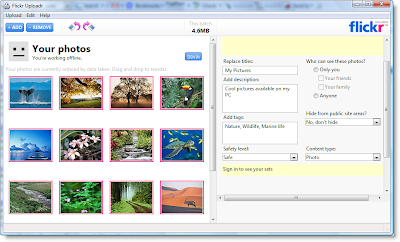 released new Flickr Uploadr v3.0 beta application which lets you bulk upload any number of images from you desktop to Flickr. This application lets you select any number of photos, set privacy options and add description, tags, titles for these photos before uploading them.